Use this website to quickly find the most important information about San Diego International Airport: Flights (Departures, Arrivals), Parking, Car Rentals, Hotels near the airport and other information about San Diego Airport. 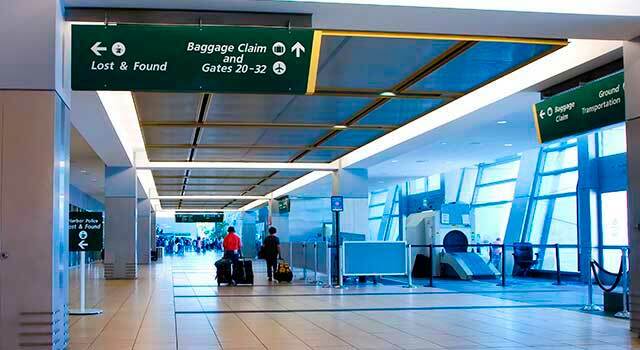 Plan your travel to Lindbergh Field Airport with the information provided in this site. San Diego International Airport (IATA: SAN, ICAO: KSAN, FAA LID: SAN), also known as Lindbergh Field Airport is an international airport serving the city of San Diego, California, United States. San Diego Airport (IATA: SAN) is the 3rd busiest airport in California. 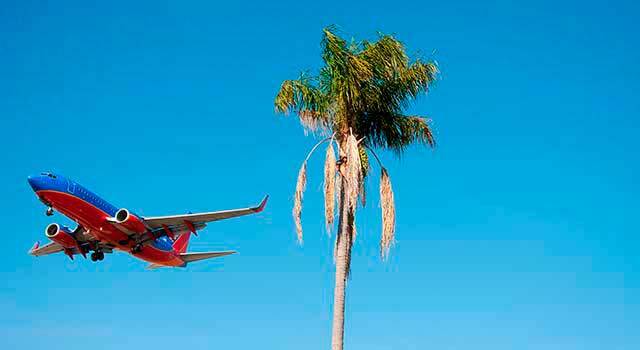 The airport is located 3 miles northwest of downtown San Diego. San Diego Airport served 22 Million passengers in 2017. There are two operative terminals in Lindbergh Airport. All international arrivals at San Diego Airport are handled in Terminal 2. 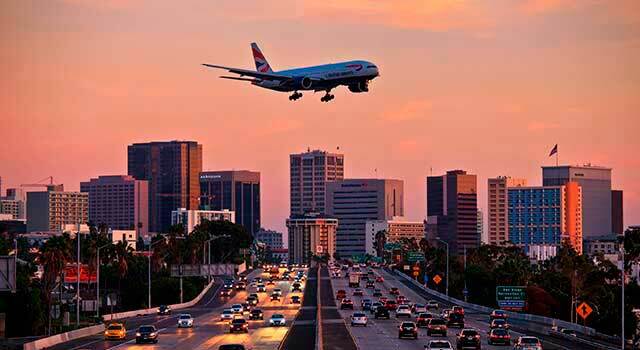 The airport is located 3 miles (4.8km) northwest of downtown San Diego. Curiously, San Diego Airport doesn't serves as a hub for any airline but is a focus city for Southwest Airlines and Alaska Airlines.SAN Airport is the only commercial airport in the United States with only one runway, 9/27. Runway 27 is unusable for landing when visibility drops below about 2 miles. This forces arriving aircraft to use Runway 9 (landing west to east). In 2017, San Diego Airport handled 22,173,493 million passengers. The busiest flights are domestic, being, the top five; San Francisco, Phoenix, Denver, Seattle and Las Vegas. SAN Airport has 2 terminals: Terminal 1 and Terminal 2. Terminal 1: It is divided between East and West. It has 19 gates: 1-18 and 1A. Terminal 2: It is divided between East and West as well. It has 32 gates: 20-51. It handles the international flights, specifically in the East gates 20, 21 and 22. There is a free shuttle bus between the terminals, the parking lots and the car rental centre. Both terminals are connected by walkway. Both Terminal 1 and 2 are provided with several shops, restaurants and cafés. Most of the brands are internationally known although there are some national retails as well. To take a bite, the gastronomic offer is wide with national and international dishes. The art and relax is also present at San Diego Airport with public exhibitions of art pieces by national and international artists. Some airlines have clubs that offer services to all passengers that request it. To rent a car is one of the best options of transportation in San Diego. Check the different options at San Diego Airport here! - Train: Amtrak Intercity and Coaster trains link passengers to downtown San Diego. 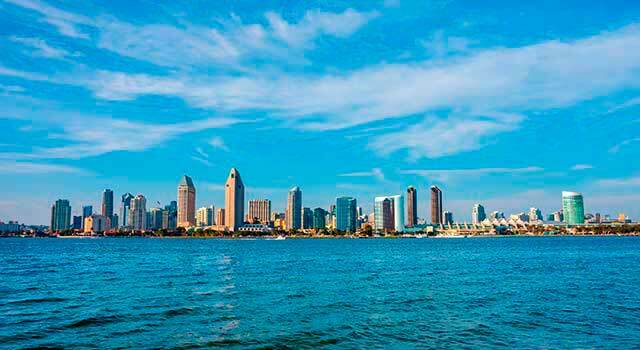 - Bus: Route 992 of the Metropolitan Transit System bus runs between downtown San Diego and the airport. - Shuttle: Airport’s shuttle service links both terminals with the parking lots and the car rental center. 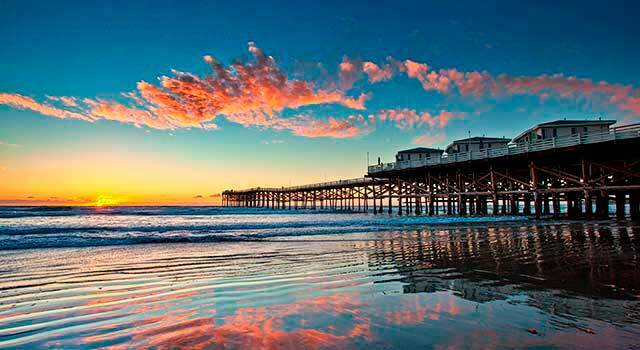 - Taxis:The trip to San Diego is about 10 minutes and has an average fare of $21.00. To get more information, please, visit the transportation online page. Hours: Open from 07:00 am to 11:00 pm every day. Closed for lunch (from 10:00 am to 11:00 am and from 07:00 to 08:00 pm).